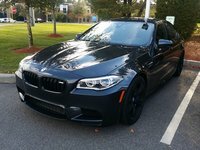 CarGurus has 1,346 nationwide M4 listings starting at $33,970. Available in both 2-door coupe and 2-door convertible body styles, the high-performance BMW M4 receives only minimal updates for 2016. Split off from the automaker's 3 Series and its M3 variant in 2014, the M4 assumed its own persona, doing away with the rear doors to emphasize its sporty nature and adding a little distinctive styling as well, especially in the tail end. The M4 coupe displays a contoured roofline and a unique trunk lid, which meld together to channel air, reduce drag, and optimize aerodynamics. In addition, it features a unique integrated rear spoiler made from carbon-fiber-reinforced plastic that helps to distinguish it from the M3. BMW also used carbon fiber and plastics in other exterior components in order to shave off weight. The M4 coupe's carbon-fiber roof, for instance, weighs 17 pounds less than its predecessor's. For the same reason, BMW used aluminum rather than steel in the M4's power-dome hood and front side walls. These weight-saving features, along with the M4's road-hugging stance, help lower its center of gravity and improve driving dynamics. The M4 now has a curb weight of 3,241 pounds, compared to the M3's 3,351 pounds and the previous generation's 3,704 pounds--although the M4 convertible tips the scales at about 525 pounds over the coupe, due in part to extra rigidity components. The M4 coupe and convertible share a number of exterior features with the M3, including its wide track, flared rear wheel arches, and quad exhaust pipes. Both display attractive angular lines and a long nose with distinctive black double slats on the double-kidney grille. Large lower-front air intakes and M gill air intakes along the sides channel cooling air to the engine and enhance the M4's sporty nature. Features such as the M exterior mirrors and the rear apron with an integrated diffuser are M-specific and help separate the M4 from the standard 4 Series on which it's based. The M4 convertible comes equipped with a retractable 3-piece hardtop, which opens electrically in about 20 seconds at speeds of up to 11 mph and is stored in the trunk. It also features a standard deployable windblock, which reduces cabin noise. Otherwise, the M4 convertible differs little from the fixed-roof coupe. The M4 receives only minimal updates for 2016. BMW redesigned the M4's LED L-shaped taillights to help conserve electrical power and reduce weight, and added new Smoked Topaz metallic and Champagne Quartz metallic exterior colors. Inside, the M4 gets some additional chrome trim around the air vents, climate controls, and window switches. BMW updated the M4's optional next-generation navigation system to generate faster calculations and more realistic 3D mapping. It also incorporates LTE technology, which improves Bluetooth, USB, and smartphone integration. Under the power-dome hood, the M4 shares its high-revving 3.0-liter twin-turbocharged inline 6-cylinder with the M3. The turbocharged 6 pumps out 425 hp and 406 lb-ft of torque, which is available at rpm as low as 1,850. The M4 goes from 0-60 in about 4.1 seconds with the standard 6-speed M manual transmission, and that number drops to 3.9 seconds with an optional third-generation 7-speed M dual-clutch automatic with integrated Launch Control and Drivelogic, which help ensure fast, smooth shifts at high revs. Fuel economy numbers for the M4 check in at 17 mpg city/26 highway with the manual shifter, and 17/24 with the automatic. Inside, the M4's 4-passenger, driver-oriented cabin delivers good ergonomics, a wide range of tech features, and a high level of comfort. Borrowed from the base 3 Series and 4 Series, the cabin features a number of M enhancements, including M-design circular gauges, an M leather-wrapped steering wheel, an M gearshift lever, and shell-shaped M front bucket seats with enhanced body support. Buyers can add optional power-adjustable and heated seats, as well as two-tone leather seats with contrast stitching. Rear-seat passengers will find plenty of room, and the trunk offers a relatively generous 12 cubic feet of cargo space. (With the convertible's retractable top stored in the trunk, cargo space drops to 7.8 cubic feet.) The rear seatback splits 60/40 and folds for additional cargo-carrying capacity. For 2016, BMW updates the automatic climate control display and ambient lighting, though these changes are fairly subtle. A keyless entry system and harman/kardon Surround Sound system with satellite radio become standard equipment and an Antracite roof liner adds a luxury feel. The widescreen display on the dash and the iDrive controller, both standard equipment, are placed within easy reach of the driver. Options include a heated steering wheel, heated rear seats, a rearview camera, and a head-up display. 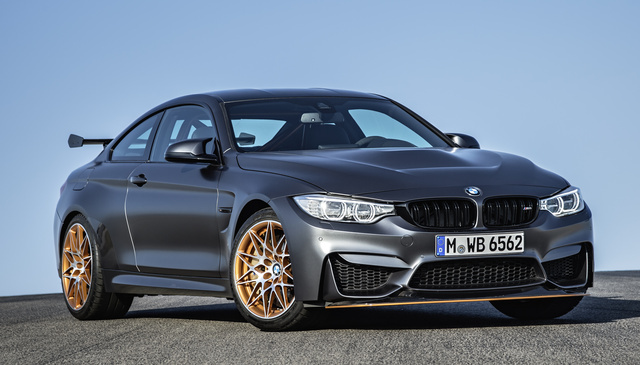 The rear-wheel-drive M4 rides on an upgraded M suspension (compared to that of the base 4 Series) with aluminum components, which help keep the weight down. It includes a new 5-link rear configuration mounted directly to the body (borrowed from motor sports), ensuring overall stability, a stiffer ride, and less body roll in corners. Some reviewers, however, say the M4's suspension delivers a harsh road feel at times, especially at higher speeds. When it comes to driving dynamics, the M4 naturally excels, thanks in part to features like its Active M limited-slip differential, which works in conjunction with the car's Dynamic Stability Control system to monitor the accelerator pedal, wheel speed, and other factors to control wheel spin on slippery surfaces and ensure optimal traction. Most drivers will want to keep the system in Normal mode around town and during everyday driving, but for those who desire greater wheel slippage and easier drifting, the Dynamic mode should ably fit the bill. The M4's weight-optimized 18-inch M light-alloy front wheels and 19-inch rear wheels ensure good road grip while adding to the M4's sporty exterior appearance. The standard M compound brakes provide good stopping power and resistance to fade, but owners can add optional M carbon ceramic brakes, which are lighter and provide enhanced stopping performance. The M4 also comes equipped with 3-mode M Servotronic electromechanical steering with Comfort, Sport, and Sport+ settings, designed to provide a precise feel in all driving conditions. Buyers can opt for an available Adaptive M suspension, also with Comfort, Sport, and Sport+ modes, which enables the driver to choose softer or stiffer damper settings. Not only did BMW split the M3 and M4's nomenclature in 2014, but the automaker also builds each vehicle in different assembly plants. The M4 is assembled at the automaker's Plant Munich, while the M3 comes to life at Plant Regensburg, where the base 4 Series and 3 Series are built, respectively. BMW says this helps it to maximize efficiency and accommodate market fluctuations for each series. Competitors for the well-reviewed M4 include the Porsche 911, the Chevy Corvette, Ford's Mustang, the new Cadillac ATS-V Coupe, and the turbocharged CLA45 AMG Coupe from Mercedes-Benz. 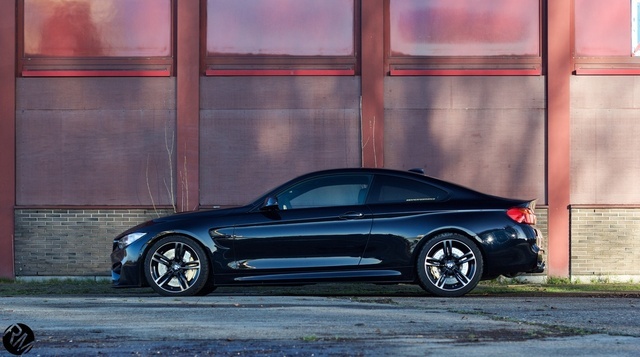 What's your take on the 2016 BMW M4? Users ranked 2016 BMW M4 against other cars which they drove/owned. Each ranking was based on 9 categories. Here is the summary of top rankings. Have you driven a 2016 BMW M4?